In recent decades phenology has gained increasing attention in climate research that is reflected in the extension of phenological networks. Prior to any analyses of phenological series in the context of, e.g. climate change research, such series have to undergo thorough quality assessment procedures. 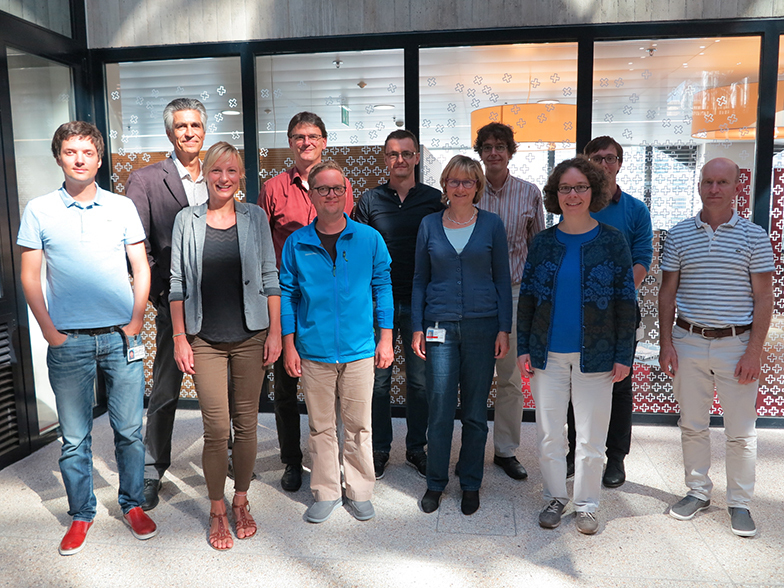 The PhenoClass project, financed by MeteoSwiss in the framework of GCOS Switzerland, comprised a quality control, break detection and development of a novel classification scheme for the phenological series of the Swiss Phenology Network (SPN). The overall aim of the project was the identification of the most valuable series and stations of the SPN. Therefore, the entire dataset of the SPN was subjected to quality control procedures, including a break detection. A novel classification scheme enabled the subsequent identification of highly valuable series and stations, using results from the quality control and the break detection. The data used in the project encompass series from 167 different stations in Switzerland, 70 of which started in 1951 with the initiation of the SPN. A set of additional parameters started being observed in 1996; currently 69 different parameters are being observed. The dataset analysed comprises (until 2015) 9ˈ455 series with a total of 205ˈ808 single observations. • A quality control procedure tailored to the SPN was developed and applied to all series. As a result each single observation has a (boolean) flag assigned. • A novel break detection method was designed for phenological series. • A novel classification scheme was developed in order to identify the most valuable Swiss phenological stations and series. The main input for the classification resulted from the quality control and the break detection, also information such as the length and completeness of each series were used as input for the classification. • An R – package was produced containing the break detection and the classification. The project finished in summer 2018. The final report is now available, published in the MeteoSwiss Technical Report Series. A paper describing the main findings is in preparation. Auchmann R, Brugnara Y, Rutishauser T, Brönnimann S, Gehrig R, Pietragalla B, Begert M, Sigg C, Knechtl V, Calpini B and Konzelmann T, 2018: Quality Analysis and Classification of Data Series from the Swiss Phenology Network, Technical Report MeteoSwiss, 271, 77 pp.